Limestone aggregates from our in-house quarry complex in South Wales. 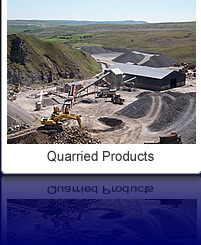 Situated in Trefil, Tredegar, the Gryphonn Quarry Complex produces a wide range of Limestone aggregates. These products are used as raw materials in our own manufacturing processes at our concrete sites and supplied in bulk form to the civil engineering & construction industries. The Trefil Quarry Complex is a self contained site handling all relevant material processing, loading and dispatch. Products produced range from Large Blockstone to Sub-bases and dust. View our latest information sheets and helpful guides.